The location is great. The room were clean. The staff are very friendly and happy to help. The location of the resort is great since it is near the beautiful Kavatsi beach. However, I would choose any other hotel in the area. I would by no means visit this place again. The resort was very good as a general. A lot of green areas and big pools. The staff were very nice and helpful. Good breakfast. The green fields are great, the swimming pools were nice. Generally there is a lot of playground for children. The breakfast was good but all week the same menu. Beach chairs were nice. The advertising for this resort is great propaganda. Incredibly overpriced. Very helpful staff. They'll do pretty much anything you ask them for. Definitely a family atmosphere which was great since we were traveling with our 2 year old son. Buffet style breakfast and dinner made meals really easy. The beach was also really nice and a short walk from the property. Overall an incredible vacation spot. 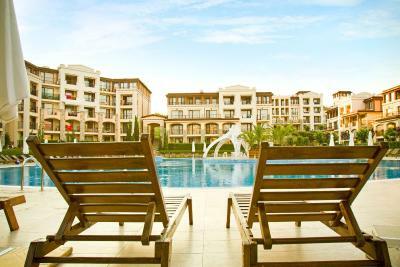 The resort is well maintained, green, has plenty of entertainment options for children including green areas, playground, pools, sports areas etc. 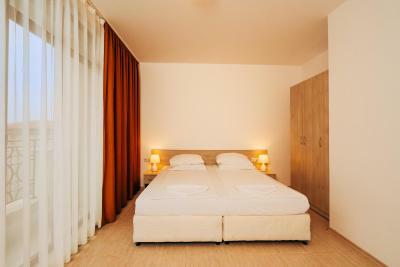 Green Life Beach Resort This rating is a reflection of how the property compares to the industry standard when it comes to price, facilities and services available. It's based on a self-evaluation by the property. Use this rating to help choose your stay! 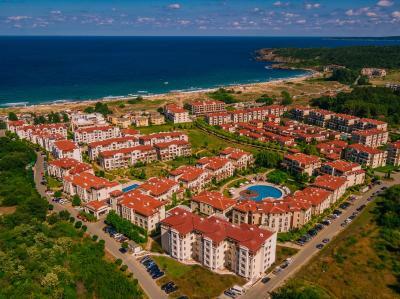 One of our top picks in Sozopol.The stylish Green Life Beach Resort in Sozopol is located 150 feet from the wide Kavatsite Beach and features 3 large outdoor pools. It offers free Wi-Fi and free parking on site. All apartments in this beach resort are air-conditioned and have a balcony and a cable TV. They feature Italian designer furniture in classic or modern style. A children's section is available in one of the pools. A children's club is also on site. Bulgarian specialties and international cuisine is served in the elegant restaurant. 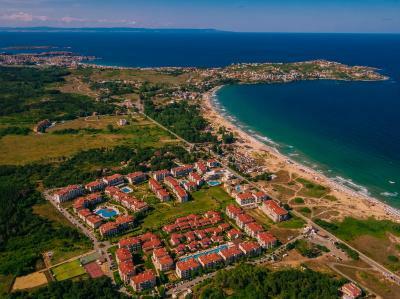 The historic center of Sozopol is 1.9 mi away from Green Life Beach Resort. Burgas Airport is 25 mi away and Duni is 6.2 mi away. 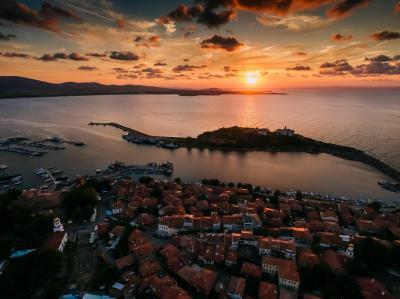 An airport transfer and a shuttle to Sozopol are available on request for a surcharge. 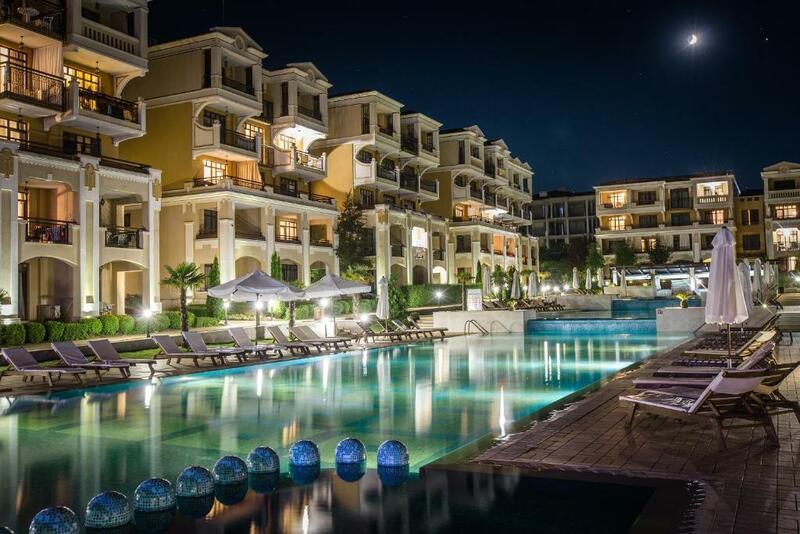 When would you like to stay at Green Life Beach Resort? 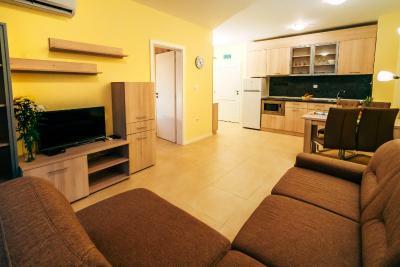 Air-conditioned apartment with 1 bedroom, cable TV, a balcony and a kitchenette in the living room. 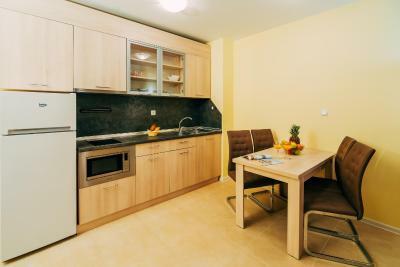 Air-conditioned studio with cable TV, a balcony and a kitchenette. 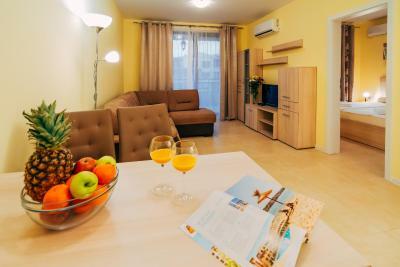 Air-conditioned apartment with 2 bedrooms, cable TV, a balcony and a kitchenette in the living room. House Rules Green Life Beach Resort takes special requests – add in the next step! Green Life Beach Resort accepts these cards and reserves the right to temporarily hold an amount prior to arrival. The breakfast was horrible, instant coffee, old fruits, horrible bread, musli and jam. Juice was sugar water. The coffee and the tea offered in the breakfast were not that good. The location, the fact that the sarounding area was green and well kept. The staff was very kind and responsive. The breakfast offered good variety even for out of season service. Everything looked clean and very well maintained. The door of the bathroom has to be fixed. It is very family friendly and great place for family with children. The price includes sun umbrella for the beach and lounges. We were not let to enter the property and take a look at the available accomodation unless we did not have made reservation. Disappointing to see very empty and uncomfortable rooms which could be rated with a maximum of a 2 ** hotel on the background of a very fancy enclosed complex. You would not recommend it as an option for a holiday. - The rooms should be refreshed a little bit. The furniture is getting older and much used. - The alcohol drinks are a little overpriced - it's not worth to order any. Would be nice if they were slightly more affordable. This is an incredible place for Family vacation with kids - it has everything set up - it's closed, many alleys for a walk, big kids pool, big kids playground. The food was awesome - both for breakfast and dinner. It's a calm and well-kept place - like a little peace of heaven, definitely deserves the "Green" part of it's name. Car parking is really busy but we used one of the over spill car parks situated at either end of the property, one at the entrance and one at the exit gates. 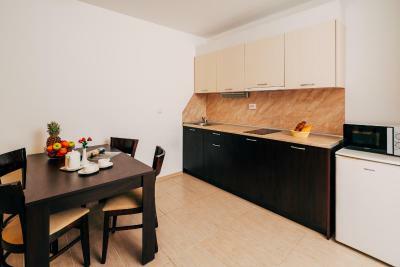 Perfect location, Apartment was basic furniture but expected for an apartment rented out. Location was perfect, no more than 5 min walk from anywhere on the site. Stuff a bit unexperienced and only 1 restaurant to choose from even though food different every day. 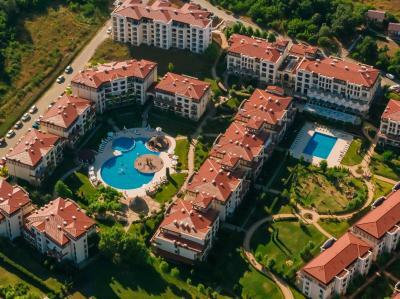 Great resort with lots of green, many pools and not typical crowded place. Own beach and good food. 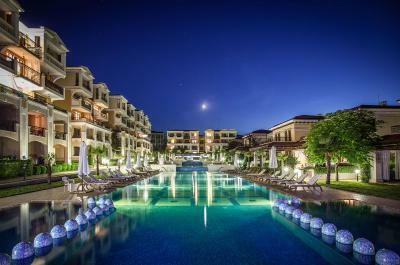 Family holidays for very good value and nice relax. Our rooms was facing one of the internal pools. The windows did not close tight and we could hear the water of the pool the whole night. Also some of the other guests decided to go swimming at 3 AM and woke us up. It could be better if hotel guests could have access to parking spaces inside the complex rather than the parking areas next to the property , but it is also not that bad. 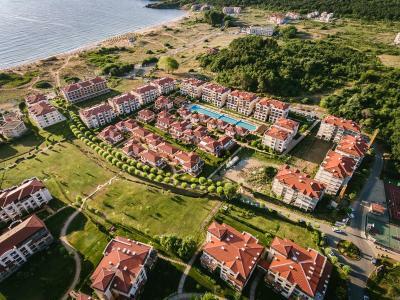 Distant from the Sozopol city , if you enjoy walks there you have to ride the car or take train/shuttles which are not very often or taxis. 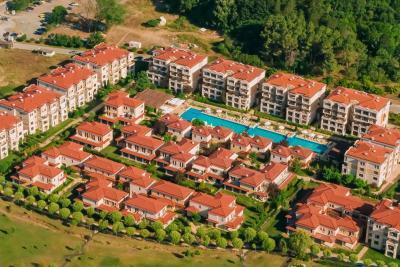 Green life Beach Resort is the perfect complex for a family vacation , right next to Smokinya beach. 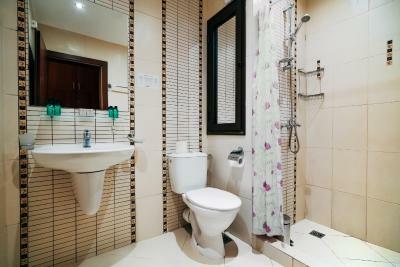 Hotel amenities are very well maintained , room was clean and had everything needed for our vacation. Wifi was good. Breakfast was also very rich and hotel provided extended hours up to 10:30AM. Pools and kid playgrounds are also well maintained. The reception lady was client oriented. Restaurant was quite dirty, food quality too bad for this type of hotel. Otherwise good room size and location.